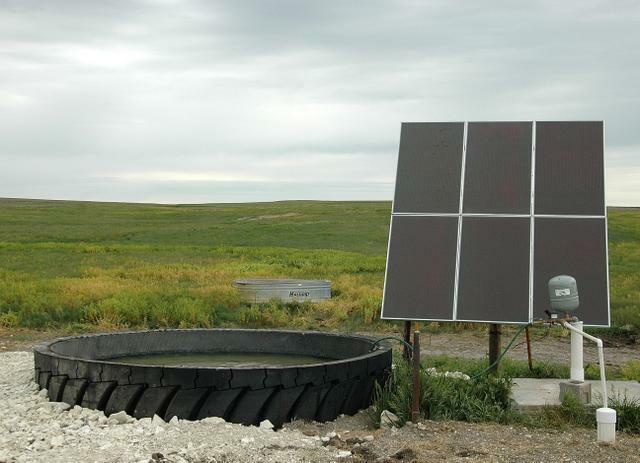 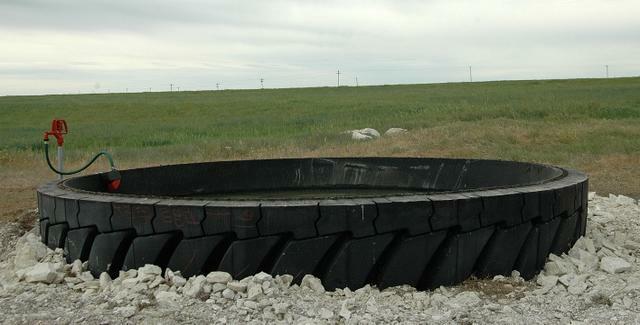 Recycled open-pit haul truck and loader tires find new life as water troughs that will last you a lifetime. 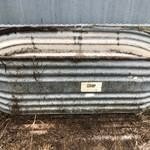 These troughs are approved by the United States Department of Agriculture's Natural Resource Conservation Service in most states for use in cost share projects. 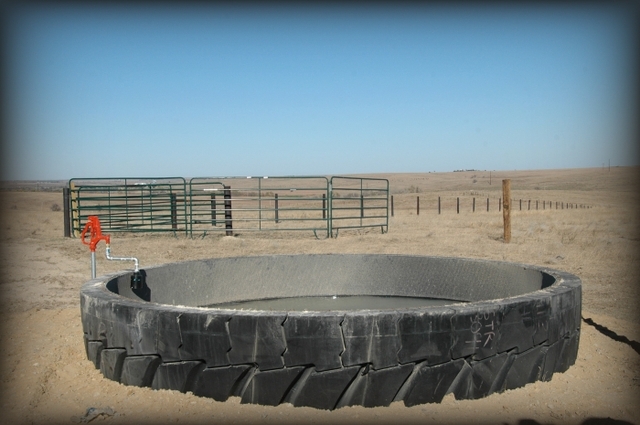 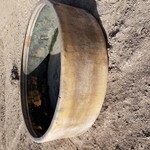 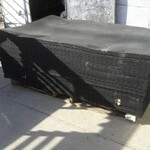 12 and 1/2 feet in diameter, these troughs can hold 1500 gallons . 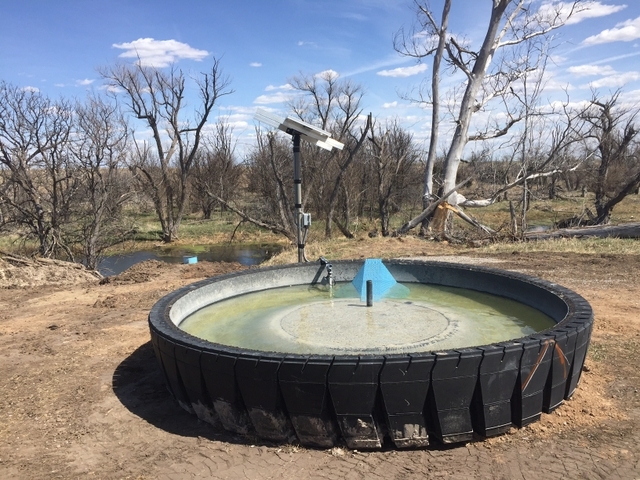 Unfortunate circumstances that would destroy other troughs (freezing, fighting bulls, equipment intervention, target practice etc...) don't make a dent in these sturdy investments. 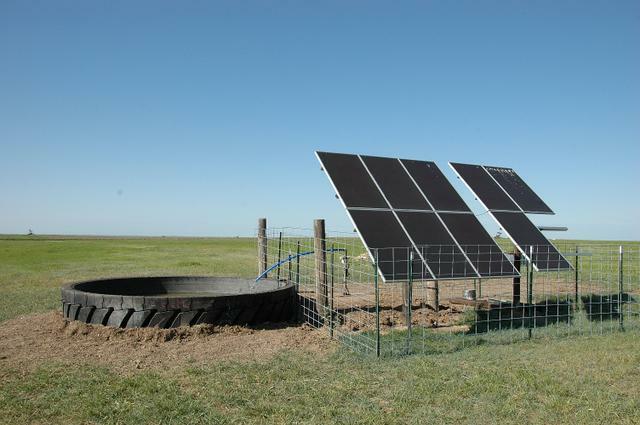 All this adds up to significant time and replacement cost savings for you. 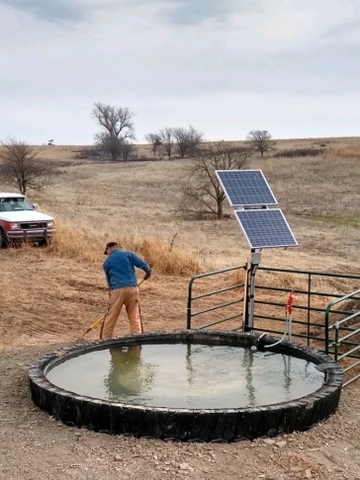 For more information, contact Pfannenstiel Water Well Service at 785-628-2654. 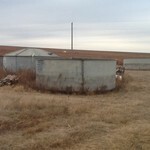 We also just recieved a load of 9' tanks that work well in corrals!